Around 60 people have reportedly been killed in the basement of a building in the southeastern Kurdish town of Cizre during a military raid which, according to state media, was conducted to neutralize PKK fighters. The Turkish army conducted the raid to allegedly clear out a basement in the town where it claimed high-profile Kurdistan Workers Party (PKK) terrorists had holed up, according to local media. 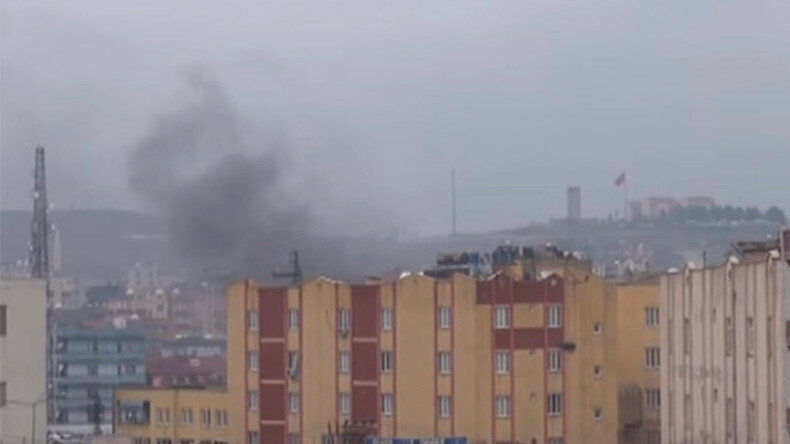 Loud explosions were reported in the area on Sunday evening where, according to activists, civilians had been hiding from what they label a “collective punishment” of the Kurds in a month-long operation by the Turkish government. Meanwhile, a number of gruesome photos appeared online allegedly showing the victims of the raid. Their authenticity, however, could not be immediately verified. Earlier reports suggested that several dozen civilians remained trapped in a basement for two weeks due to heavy fighting in the area – although it was not immediately clear if that was the building in question. On Saturday, Turkish interior minister Efkan Ala said that the military operation against the Kurdish fighters in Cizre was “99.5 percent complete” and wouldn’t expand territorially. Turkish leaders insist they're targeting only Kurdish militants. “We are being very sensitive in distinguishing between terrorists and [ordinary] people. We pay incredible attention so that civilians are not harmed by operations,” Turkish Prime Minister Ahmet Davutoglu said. Describing the situation in Cizre as an “utter human tragedy” Turkish activists, including prominent scientists, writers and actors, petitioned authorities to rescue the people trapped there. According to Turkey’s General Staff, the number of Kurdistan Workers' Party (PKK) members killed during military operations in the southeastern districts of Cizre and Sur reached 733 on Sunday. Meanwhile, according to Amnesty estimates, at least 150 civilians, including children, have been killed during the Turkish operation, with over 200,000 lives having been put at risk. The news of possible victims among civilians has reignited protests against Ankara's brutality towards the Kurds throughout Europe. Hashtag #TurkeysCizreMassacre has already gone viral on Twitter, with thousands of users sharing their thoughts on what they think is really happening there. Protests are also taking place across Germany with people on the streets of Dusseldorf and Berlin. And in the German city of Dortmund Kurdish supporters gathered at the city's train station. In Switzerland, a demo took place in front of the parliament in Bern. In Paris, Kurds are calling on more people around the world to join them.